They had one of my favorite warbirds at the Airshow this year. 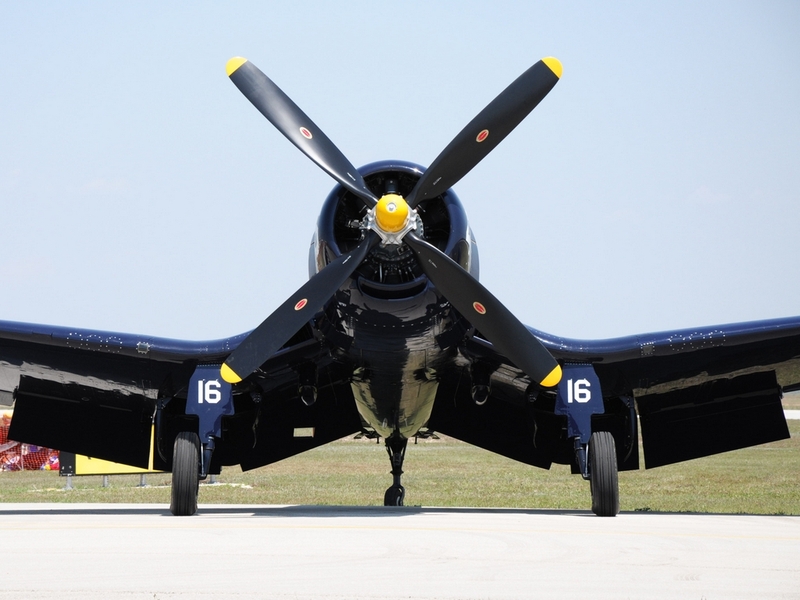 The F4U Corsair. It was on static display and flew with the B-25s Panchito and Killer Bee in the simulated ground attack runs. The shooting was tough since the wind meant using a slightly different angle of approach than other years and that affected the sun angle on passing shots. Here are a couple more of the F4U. 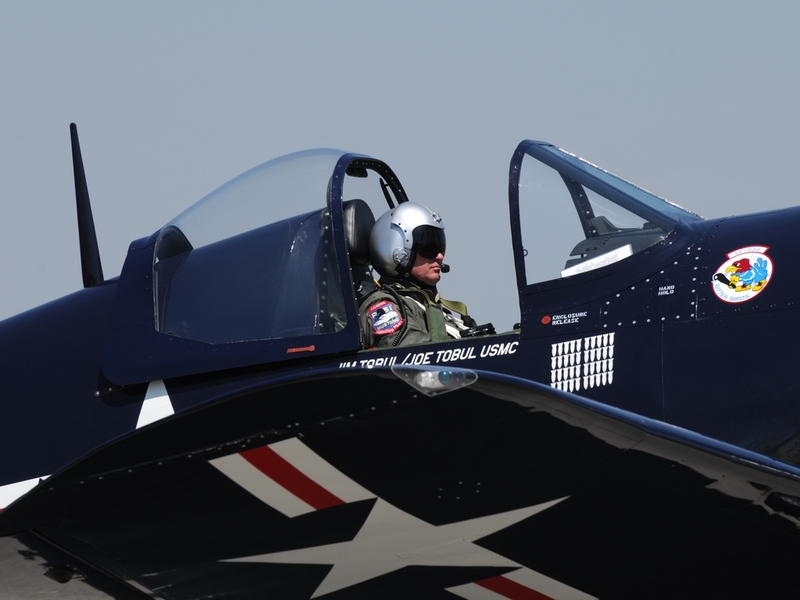 The first shows the distinctive wing shape of the Corsair and the other the pilot before take off. Just click for a larger view. 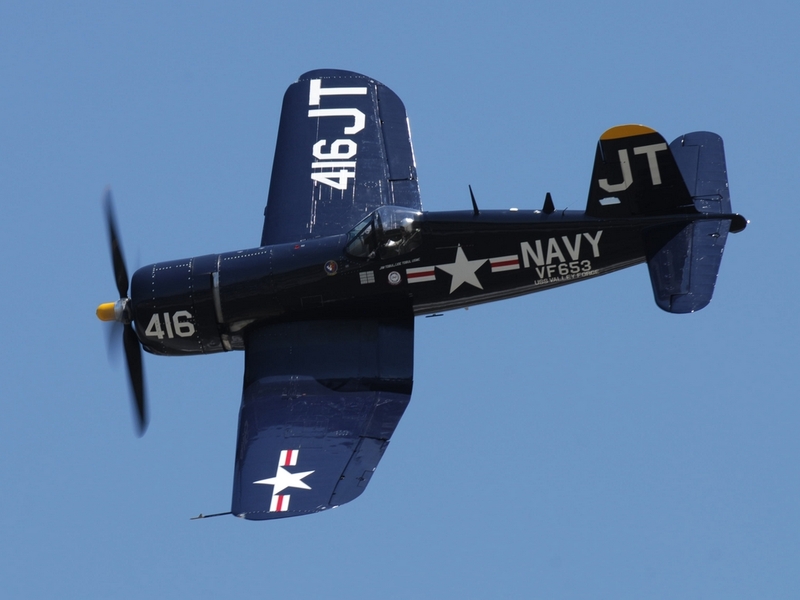 This entry was posted in Airshow, Event and tagged Corsair, f4u, Photography. Bookmark the permalink.